what a great laid back tune! played the clip more than a few time (a faint trace of Bicton Breezes in the there)? whilst Martin Cilia has the guitar work nailed down brilliantly, could almost taste the salt in the air, the lyrics in German were a bit hard to follow; lol, cannot wait for the book, & zongo @ 1:50 almost distracted me from the song, great to hear. Meanwhile, a week later in Perth. Still living the Suburban dream. Warner unplugged and intimate in front of an audience of his peers in the peerless surrounds of his once local library. 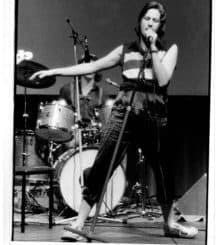 Tony “Old boy” Durante, his amp turned down to minus 11, maintaining a flawless backing to the entertainment as Dave, a triple threat of an entertainer, spoke, sang and read his way through the origins of his long career in life, music and crime fiction. The revelation to come from the night being that inspiration comes from the observation of life as it surrounds you. Six year old Dave, perched on his Bicton clifftop, drank in the sub-culture of the early sixties and later recycled those memories into a book. 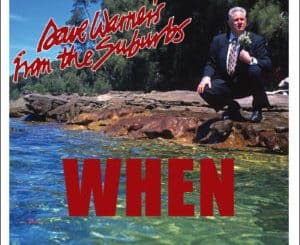 Similarly, several decades later, a middle aged Warner reinvents an encounter with Detectives asking him to confess to being the Claremont serial killer. 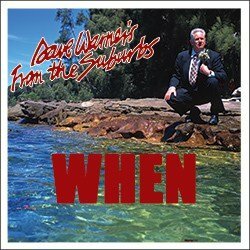 Suburban life goes on and Dave continues to chronicle it in both song and print. Long may he write, read and record it. Mind you, several smart phones were active through the night so a bootleg of the above is possibly on the net already… a scenario for another book on cyber crime? 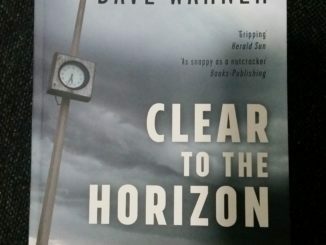 Thanks Dave Martin, I’ll always be grateful for that first little gig review you did that took me to the wider world, and that you are still wielding the pen in my favour fills me with the kind of joy reserved normally for an East Freo flag – but as that may be many years coming I shall wallow in this.